It is, surely, excellent news that shopkeeper Tony Singh will not face a murder charge following the death of a man who was attempting to rob him at knife-point. The assailant, Liam Kilroe, who had previous convictions for assault and robbery, died on 17 February from a single stab wound from his own weapon, in the course of his attack upon Mr Singh. Tony Singh was subsequently arrested on suspicion of murder. He learned today that he will not face charges. What impressed me about Mr Singh was his dignified refusal to play up to the tabloid “have-a-go hero” agenda. The circumstances of his case would seem to be quite different to those of tabloid/Telegraph favourite Tony Martin, who pursued and shot in the back a retreating burglar. Well done you Labour MP’s! There’s a headline I never expected to write and you, no doubt, never expected to read. Not at ‘Shiraz’, anyway. But credit where it’s due, I say: last Friday these Labour MP’s defied the government to ensure Andrew Miller’s Temporary and Agency Workers (Prevention of Less Favourable Treatment) bill got a second reading. Miller’s bill is scarcely revolutionary: it simply proposes that agency and temporary workers should get the same meagre rights (eg sick pay and paid holidays) as directly employed, permanent workers. It was one of the points supposedly agreed between union bureaucrats and the Labour leadership in the Warwick agreement of 2004. Disgracefully, not only has the government reneged on its Warwick promise, but it also (at the end of last year) blocked an EU Directive that would have outlawed unequal treament of temporary and agency workers (another victory for the anti-EU brigade!). So on Friday sufficient Labout MP’s remembered their basic labour movement principles to ensure that the government and the Tories failed to scupper the bill. Even Peter Hain and the preposterous Ian McCartney voted for it. My gawd – even Prescott waddled into the lobby with the rebels on the first part of the vote (to prevent the Tories talking it out), though this mighty hero of the class struggle couldn’t quite bring himself to vote for the bill itself. If you have a Labout MP and s/he didn’t vote for this elementary piece of common decency and fair play, get onto them pronto and find out why not! Of course, it was the vigourous campaigning of both sections of Unite that ensured those MP’s voted the right way, and it’s encouraging to note that joint General Secretary Tony Woodley seems to be resisting Gordon Brown’s attempts to lure the unions into a commission that will delay and water down the legislation that is required. A battle won, but not the war. We must keep up the pressure. Whether this is to be believed or not remains to be seen. Indeed, if the “achievement of its goals” is the elimination of the PKK “threat” then even taken at face value the statement is cold comfort for the Kurds – previous failed attempts by the Turkish army to eradicate Kurdish nationalism resulted in a bloody and drawn-out conflict between 1984 and 1999 which is reckoned to have claimed over 30,000 lives. This is not a case of the military launching an operation in defiance of a civilian government, either. Prime Minister Recep Tayyip Erdoğan’s AK Party government in fact ordered the attack, it is believed with the tacit support of the USA – in spite of some muted protests. The US will certainly be loathe to enter a direct confrontation with a NATO partner, particuarly a regional superpower of Turkey’s standing in a part of the world where the USA is not overwhelmed by huge numbers of Muslim friends. The Kurdistan Regional Government, headed by Kurdistan Democratic Party leader Masud Barzani, has issued a statement condemning the invasion whilst making clear that it does not support the PKK. For the time being this will suit the Turkish troops, whose lives wouldbe made considerably more difficult if Barzani were to order the mainstream Peshmerga in the region to fire on the invaders. It is, however, quite clear that the Peshmerga’s neutrality in the conflict is far from guaranteed in the longer term. The conflict has escalated within the last 24 hours, with the Turkish army claiming to have killed 44 rebels and the PKK responding with a claim to have shot down a Turkish helicpter. The death toll will undoubtedly continue to mount over the days and weeks to come, almost certainly without any “clean” outcome one way or the other. Conventional ground forces have found since time immemorial that they can hold an area, only for it to be reoccupied by guerillas once they leave. The PKK may not have the forces to drive the Turkish forces out, but neither do the Turkish army have the means to eradicate the PKK. The result will be a bloody mess. In a situation like this, progressive and left-wing people worldwide should stand with the people of Kurdistan whose territory is being overrun by invading troops. We should condemn any civilian deaths that the Turkish troops inflict, and we should call for those troops to be withdrawn. The Kurdish people have the right to their own territorial integrity, and the language being used by the Turkish government to justify the invasion (“terrorists” in particular) is eerily remniscent of the language used by US administration to justify the war in Iraq. We on the left stand with oppressed peoples, against such aggressors and we support the right tonational self-determination. It is for that reason and with those principles in mind that I believe we should be calling for Turkish troops out of Kurdistan. Apparently funding cuts at Ealing council threaten the future of one of the UK’s best-established BME feminist organisations, Southall Black Sisters. The organisation has a proud record of fighting for women from minority ethnic backgrounds, both initially getting such womens’ issues on to the political agenda, and latterly by speaking out against culturally conservative and misogynist practices in minority communities themselves where these work against the interests of women from those communities. It is shameful that sections of the mainstream left have turned a blind eye to such questions in pursuit of alliances with so-called “community leaders” and others. What is more, it makes the work of organisations like Southall Black Sisters all the more important. 8 February 2008 Dear FriendsSouthall Black Sisters is under threat of closureWe are writing to you to request support for our organisation. We are currently facing threat of closure as a result of our local authority’s (Ealing) decision to withdraw our funding as of April 2008. * The attempt to compel us to meet the needs of all women will mean that we will have to reduce our services to black and minority women across London and the country. Abused black and minority women, who already face considerable racism, discrimination and cultural pressures, will no longer have access to a specialist service. We have never denied our services to any woman who contacts SBS but our focus has out of necessity, and in recognition of the demographic composition of the area, been on meeting the needs of black and minority women who continue to be one of the most disempowered sections of our society. The suicide rates of Asian women for example, are already three times the national average and homicides – where abusive men and families kill their wives, daughters or daughters-in-law – are also high within some black and minority communities. In all likelihood, any reduction in our services will see a rise in suicide and homicide rates amongst black and minority women. * We will no longer have the same national impact in terms of our input in policy and legal development in relation to black and minority women, which has been highly effective over the years. Our campaigns in such critical areas of work as forced marriage, honour killings, suicides and self harm, religious fundamentalism and immigration difficulties, especially the ‘no recourse to public funds’ issue, will have to be drastically cut back . * A unique, specialist and experienced organisation (members of the staff and management committee have a combined experience of over 50 years) will lose its identity – an identity that has become synonymous with high quality service provision. We are seen as a ‘flagship’ organisation. Indeed Harriet Harman, the deputy prime minister in her speech at the House of Commons on 18 July 2007, made specific reference to SBS as exactly the kind of group that the State should support. This statement was made in the context of debates on cohesion in which she specifically identified groups like ours as key to building cohesion between and within communities. It is therefore of grave concern that at a time when all local authorities have a duty to promote cohesion, Ealing Council has chosen to undermine a group that has historically and effectively worked across religious and ethnic lines within black and minority communities precisely to bridge differences and build a sense of citizenship. Ironically, the Council is seeking to set up Muslim women only groups under its ‘cohesion’ strategy – the demand for which does not exist! We also need to address the new challenges posed by immigration and asylum difficulties, growing racism and religious intolerance. But without adequate funding, SBS is now in danger of closing down. Following legal action, we have compelled Ealing Council to carry out a race equality impact assessment. This had not been undertaken prior to making a decision to withdraw our funding. Although the Council has now undertaken such an assessment, it is only in relation to the new domestic violence policy. In other words it only assesses whether or not all women ‘may’ be able to access the new service. The Council maintains that withdrawing funding from SBS will have no adverse consequences for black and minority women! The assessment is also flawed since it does not consider the consequences for black and minority women if SBS services are cut or closed. We have submitted detailed representations pointing out the flaws in their assessment procedure with a view to taking further legal action if necessary, Over 50 users of our services have also written to the Council protesting at their high handed decision. The issues raised by the Council’s actions have wider ramifications for all black and minority women’s organisations. It is imperative that we act now. We ask you to write to the leader of Ealing Council, Jason Stacey whose details are to be found on the model letter that follows. We would be grateful for any support that you can give us. If you do not have time to draft a letter, please find enclosed a model letter which you may amend as you see fit. Please also let us have a copy of your letter and any reply that you receive. If you are able to support us in any other way please contact us. We look forward to your response. Next: dialectical materialism on ice and in song! But what are “proper hours”? Tomorrow, 22 February, is ‘Work Your Proper Hours Day’: according to the TUC, nearly five million of us are putting in an average of over seven hours unpaid overtime per week. That’s nearly £5,000 of wages given by every employee to the employers every year. “If you worked all your unpaid overtime at the start of the year” says the TUC, “22 February would be the first day you’d get paid.” So those militants at Congress House are calling upon all of us to mark the day by… “turning up for work on time, taking a proper lunch break and leaving when you’re meant to.” It would be laughable, wouldn’t it, but for the fact that so many of us would seem to be such a bunch of wimps, crawlers and gaffers’ persons? Anyway: what the hell are “proper hours”? I’m fairly sure the TUC didn’t have the routine extraction of surplus value in mind when they launched this campaign. Now, when are we going to do something about that? As someone who cut their political milk teeth defending the Cuban Revolution in “the belly of the beast” as Jose Marti so aptly described the United States, I have maintained something of a soft spot for this tiny island which showed so much defiance in the face of the colossus to the north. For activists in the US, Castro’s Cuba was our North of Ireland. It was in your backyard, it was unavoidable and your opinion towards it said a lot about where you were politically. I had the great fortune to travel to Cuba in 1995 twice and to spend my 18th birthday there, despite facing arrest and/or imprisonment by the US government upon my return for doing so. I say great fortune because I was touched by the spirit of the Cuban people, their generosity, their love of all night parties and the elderly people’s love of the revolution. I stayed with Cuban families; one in Havana whose brother was killed in the Bay of Pigs (Playa Giron) and photograph was lovingly framed in their tiny hallway. Maria swelled with pride as she told me of the bravery of her brother and I had to agree that he died in the most heroic of circumstances – defending Cuba from US invasion. I had gone as a part of a work brigade and then a youth conference. 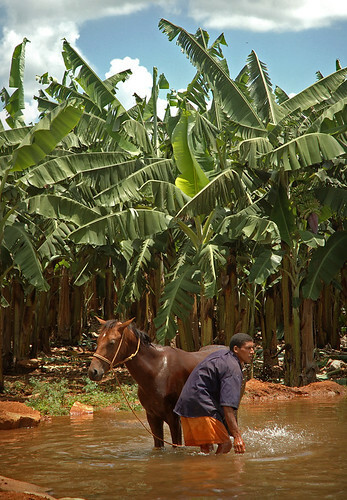 During the first visit I saw rural Cuba. We drove for hours on a bus before reaching Ciego de Avila where we worked cutting dead leaves off of banana trees. I was amazed at the speed with which the Cuban workers went through the various rows whilst the Yanks lagged far behind. They had teased us in the morning about our “pretty clothes” – which were the work clothes most of us had brought, theirs being torn and stained with the sappy juice of day after day in the field. I immensely enjoyed watching an impromptu baseball game being played with such joy and passion without any proper equipment and the game coming into its own in a random patch of land in the Cuban countryside. In Havana I visited a sugar cane factory and drank fresh “guarapa” from reused plastic cups, visited a hospital which had a metal shop inside to make new spare parts, and sat at meetings of local women’s councils. For the youth conference (a precursor to the world social forums) we heard a number of government officials talk about the revolution and the “special period” (it was long enough after the collapse of the Soviet Union to start to feel the bite of the loss of trade) and I heard Fidel himself, twice. Never before or since have I heard such a charismatic speaker, and whatever one thinks of him or his government, it was immediately clear to me why this man had been in power for so many years and why he was much loved by broad sections of the Cuban people, and so loathed by others. I was so wrapped up in his speech that I thought only an hour had passed when in fact he had been speaking for three hours – such was the eloquence of his oratory. Needless to say all of this was incredibly inspiring. But having come from an organisation which maintained a very uncritical stance towards the Cuban government, it was difficult to comprehend the realities on the streets which showed a more complex side of Cuba. In the countryside two men spoke in hushed tones as one passed another a pamphlet – with Jesus on the cover. Men would often whistle and cat call to women on the streets which was shrugged off by the women as “Machismo” (ie that was just the way Latin men were) or an outright denial by the women’s council leaders that there was any problem with women’s equality in Cuba at all, despite admittedly great strides having been made. Evidence of the black market was everywhere and while the pride and love of the revolution (which is akin to a respect of the NHS in this country) kept some in the older generation from buying goods on the black market, many in the younger generation didn’t have a problem with this, and I didn’t blame them. 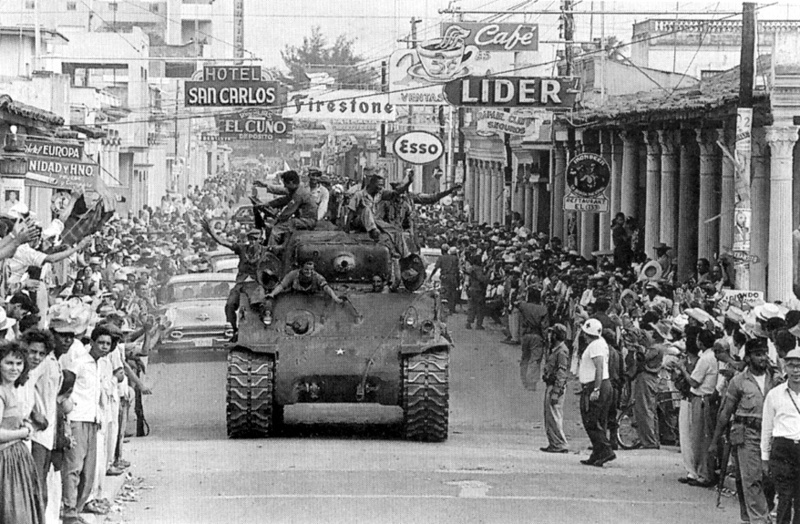 In addition, young people everywhere were questioning the revolution – something I considered to be a healthy activity, but something for those who lived through Batista (the dictator before Fidel) found threatening. The paternal overtones of “Fidel the father” were evident everywhere, but particularly in the question of press access. The organisation I was with claimed it would be impossible for Cuba to have a free press because this would inevitably be used to undermine “the revolution”. I was always uncomfortable with this argument because while I saw its logic on one level, I didn’t understand why information, even false information, should be withheld. Surely the Cuban people, who had made “the revolution” in the first place, were more than capable of making up their own minds whether or not what they read was true. This I believe was the fundamental problem; the idea that “the revolution” trumps everything else, including a free press, democracy, the right to protest and the right to dissent. 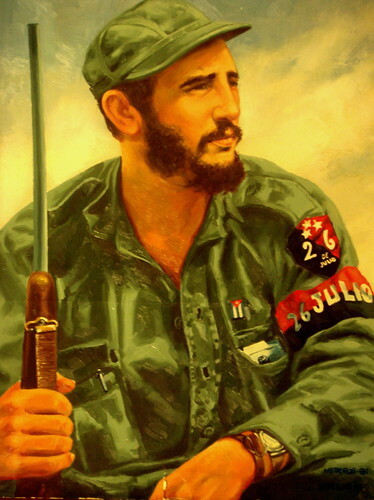 Over the years “the revolution” and “Fidel” grew to become synonymous to the point where you had, in effect, socialism in one man; where the man represented “the revolution”. The Cuban people threw off the chains of Batista precisely because they wanted freedom from tyranny, the right to live in peace and the ability to not be controlled by others and I believe this did sincerely include Fidel, Che, Camillo and the other leaders of the July 26th movement. However in Fidel and the development of Cuba, you see the destructive influence of Stalinism in its full glory, and this for me is where Trotsky comes in. It was clear from Trotsky’s views that “socialism in one country” could not exist. The only way for a revolutionary dictatorship of the proletariat to survive in anything akin to its revolutionary form was for the extension of the revolution to other countries. Now some try and claim that this was Che’s aim and I suppose in a round about way it was. However, the way the Cuban revolution came about was more a particular circumstance than the rule – and the attempt to apply the Cuban model of “revolution from below” to other Latin American countries from the outside, and with very little organic support internally, was as doomed to failure as the attempts by the Soviet Union to invade and forcibly change property relations from above. Cuba thus not only developed an internally bureaucratic structure within its government (at the peak of which repression of dissent and jailing of LGBT activists was at an all time high), but also a heavy reliance on the Soviet Union complete with its bureaucratic structures and dominance in certain international spheres of power. The fact remains that Cuba and Fidel’s reign specifically, whether we fully appreciate it or not, is a reflection of the left internationally, where we’re at and how we’ve failed. 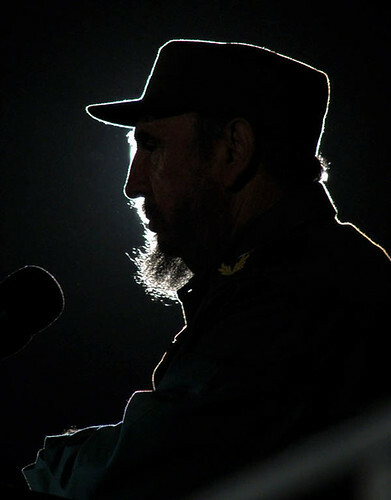 The weakness of the left is reflected in the arguments which we will now see posited by both sides – Fidel the great leader and Fidel the tyrant. The reality is that the theory of revolution is not fully developed at this point. We still fail to understand what the best way is for a social revolution to come about to maintain the aspirations of the people in the long term. We still fail to have an adequate understanding of the effect of the collapse of the Soviet Union and having tried the methods of a revolutionary vanguard party, guerilla warfare, and military coups as means for securing the power of the oppressed, we still haven’t cracked it. The Cuban people didn’t, Fidel didn’t, but they certainly had the courage to give it a go and for this and the lessons they taught us, we should at the very least be appreciative. But the question remains as to how we best go about creating enduring social change and ridding the planet of destructive capitalism and neo-liberalism while maintaining local democracy, freedom and workers control within a society. Perhaps greater men and women than the Cubans would’ve solved this problem by now, but given their bravery since the revolution in 1959 if we searched the world over, I doubt we could find them. If ever an oppressed people had the right to their own nation, it’s the Albanian Kosovans. They’re mostly Muslims, by the way. Back in 1999, many of the forces on the “left”, who’ve since posed as friends of Muslims everywhere, supported Slobodan Milosevic’s anti-Muslim genocide. It is, of course, essential that the EU guarantees the rights of the Serb minority: once more, the EU shows itself to be a progressive force. But, for now, congratulations to the new nation and to all its people! Socialist Workers Party Wakes Up on Iran? The SWP has published an article in the latest edition of Socialist Worker supporting the recent campus protests by Iranian students. This article makes clear that there is now no difference between their position and that adopted by the Hands Off the People of Iran (HOPI). They should join us and work together to support the people of Iran against imperialism and the theocratic regime. There have been major confrontations over the last month between students and Iranian security forces. Iranian socialist Behzad of the Iranian Marxist journal Saamaan No (New Order) spoke to Socialist Worker about the new left wing movement rising in Iranian universities. Nixon was visiting the Shah (the king of Iran) to congratulate him on the coup that toppled the popular nationalist government of Mohammed Mossadeq. This was a US and British backed coup, and although they got rid of Mossadeq, it did not crush the movement that brought him to power. The Shah’s security forces fired on the student demonstration, killing three. Since then this date has became a celebration of resistance to dictatorship and the struggle for freedom. Following the 1953 protests, Iranian students formed the Confederation of Iranian Students to oppose the Shah. Many activists in the confederation were socialist and participated in the revolution that overthrew the Shah in 1979. Also among them were Islamist students who were part of the National Front – a movement inspired by Mossadeq focused on nationalising Iran’s oil. This movement came to an end when universities were closed for two years following the foundation of the Islamic Republic and the rise to power of Ayatollah Khomeni. These were the years of the Iran-Iraq war and terrible repression. Many tens of thousands were killed or put in prison. The left was defeated. In the early 1990s a reform movement grew in Iran. It brought to power the “reformist” president Mohammad Khatami. This movement emerged at the same time as the Soviet Union collapsed. So the left was in disarray and dominated by ideas that said there can never be revolutionary change, the best you can hope for are gradual reforms. This movement put all its faith in Khatami. However, as it became clear that the reformist president could not deliver the changes demanded of him, this created the conditions for a new left to emerge. One of the centres of this movement was the pro-reform student Islamist societies in the colleges. At the time these were small groups calling for democracy. They did not describe themselves as socialist or left wing. They put their faith in small changes that would bring greater freedom and democratic rights, a free press and so on. These students became radicalised following the failure of the reform movement, and the closure of Salam, a pro-reform newspaper. Their protests were heavily attacked by the security forces. Some students began to break with the fundamentalist ideology and question reformism and the state. Gradually through studying the history of the labour movement in Iran and internationally, they began to develop Marxist ideas. They began to organise and publish newspapers, blogs and other literature. They debated everything from art to politics. Their demands range from improving conditions in universities through to questions of democracy. And the opposition to neoliberal policies of the government has also tapped into wider discontent across the country. At the same time as a growing radicalisation among students there was a rise in workers’ struggles in Iran. At the heart of this were bus drivers, who established an independent trade union and found themselves in opposition to the state. The majority of Iran’s 70 million people are under 35. There are over four million students in the country. Two years ago, left wing students joined with reformists and the Islamic student societies to organise a major celebration of the events of 7 December 1953. A year later these students began to raise slogans calling for socialism. They could not march in the streets, but they had good mobilisations on campus. The state responded with waves of arrests and repression. In the first wave 30 left wing students were seized, in the second 11 – one of whom was killed. These arrests galvanised other students into protest behind student action committees. Since then we have seen a massive growth in the socialist student societies. There are now up to 15 left wing journals and newspapers – most of which are clandestine. These students have been debating two major political questions. The first is the opposition to imperialism, especially the threats from the US following the invasion of Afghanistan and Iraq. The second is how to achieve real change inside Iran. They see these two positions as being important for the movement for change. The right inside Iran has been able to use the threat of imperialism to snuff out any opposition at home. The first time was when the US supported Iraq during its war with Iran (1980-88) and now following the US invasions of Afghanistan and Iraq, and Israel’s war on Lebanon in the summer of 2006. The race for the Democratic presidential nomination continues apace on the other side of the pond, with Hillary Clinton (for now at least) falling behind Barack Obama following the latter’s inspired campaigning before and after Super Tuesday. Obama has now won several primaries on the trot, and he has displayed a star power that makes Clinton look dull by comparison. Obama is amongst the most extraordinarily talented orators of his generation in US politics, and he is able to mobilise voters well beyond traditional Democratic constituencies. His supporters are younger than Clinton’s, and many have an almost messianic zeal about them which has seen him stretching leads even further on the day in places like Virginia and Maryland than the polls suggested as his activists and voters mobilised on the day. And yet Barack Obama has had a problem throughout in connecting with the bedrock white working class voters who still make up much of the Democratic electorate in the rust belt and the big cities. In particular the labour unions whose members are still vital to the Democratic “ground war” in election campaigns have been loath to let go of the Clintons. This surely must be a case of “better the devil you know” given Bill Clinton’s record of support for big business against the common person, but nevertheless the unions’ support for Hillary has broadly held. In the space of two days last week, Obama picked up endorsements first from the United Food and Commercial Workers’ Union and then from the Service Employees’ International Union. Both of these are of huge significance as they may assist Obama to break out of his current constituencies – namely black voters, college graduates, professionals and the young – and to eat into Clinton’s core support from the lower income brackets. He will certainly gain vital ground troops in the Texas and Ohio, which can only help his cause as he tries to catch Clinton in those states. I for one hope this trend continues; whilst I originally supported John Edwards, I nonetheless cannot discount the sheer political shockwave that would be generated by an Obama victory in November. His programme is by no means as progressive as Edwards’ was, and I would not want to overstate at all about what legislative changes would come from an Obama administration. Yet I suspect that his mere election would re-draw the political map in ways that would change party politics in the USA for a generation. In particular, a race between Obama and John McCain, a hate figure for the hard right in the Republican party, would see the Reagan coalition that has sustained the GOP since 1980 breaking apart. That in and of itself, combined with the indisputable message that would be sent by the election of a black candidate whose biggest selling point is his opposition to the Iraq war, leaves me at least hoping that Obama does well. Evidently there are growing numbers of people in the labour movement who agree, and I hope this stands him in good stead during the weeks and months to come.